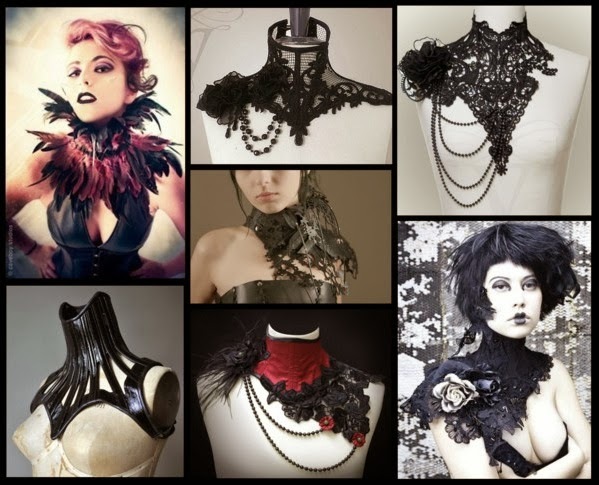 I've wanted to make a neck corset for many years. These neck pieces are lavish and bold. The ones in the collage are my inspiration to create my own. I'll have to source materials for a lace one, but I'll likely make a couple variations.